Providers of water management services strive to help businesses reduce costs and improve the efficiency of their water and wastewater infrastructures. However, their success depends on effectively tackling the challenge of water pressure regulation and head loss. All too often, this entails having heavy and cumbersome technology, which restricts the installation options and creates unwanted operational challenges. Veolia was one company facing this very real problem. Its Mobile Water Services Division is a market leader in the provision of onsite purified water services from purpose-built HGV trailers to industrial processors and plants across the UK and Europe. In pressure management, too high an outlet pressure creates a huge risk of damaging expensive assets. However, insufficient outlet pressure could result in the failure to fully purify the system, which could reduce the quality of products or processes. Veolia recognised that accurate pressure control, from the hydrant supply through to the purification system and into the client�s system, was vital to delivering an efficient service and maintaining customer satisfaction. Veolia had to regularly manage very large pressure drops, which meant having two pressure reducing valves (PRVs) to reduce the pressure over two stages. The problem was that the two separate products added up to some more than 100kg of equipment on their trailers, which reduced portability and increased the kerb weight of the trailers. Instead, it needed a provider to help it develop and deploy a more mobile and accurate solution for hydrant PRV assemblies. 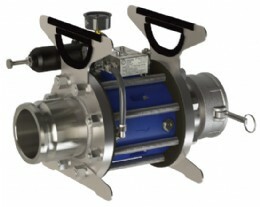 The PRVs came with integrated handles, supports and quickfit connections, meaning Veolia could easily install them. Often, companies rule out any kind of pressure regulation in hard to service infrastructures or � in Veolia�s case � have managed with heavy duty setups. However, Oxford Flow�s flexible and simple design makes pressure regulation far more accessible and cost-effective. The rugged light-weight design of Oxford Flow�s products allowed for easy adjustment of the set pressure as well as control of the speed of response. This made it much quicker and more efficient to set up and deliver precisely controlled pressure and flow exactly to the customer specifications. Because weight was a big issue, Veolia had been looking at ways to reduce the size of its trailers. In particular, it wanted to fit more of its processing fluid onto the vehicles but without increasing the weight. A major advantage of Oxford Flow�s products was that Veolia was able to streamline its infrastructure from two PRVs weighing some 60 kilos each to just one PRV weighing around 25 kilos. As a result, it had a much more efficient solution that could reduce from a very high pressure in just one stage. Reducing costs was an important outcome for Veolia. 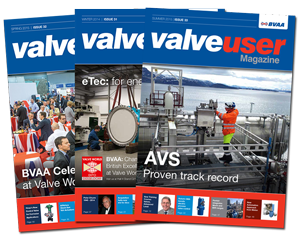 One valve meant more manoeuvrability and potentially less labour to manage it. In addition, saving more than 50 per cent of the weight of installation had major implications in terms of fuel consumption so, with less to carry around, Veolia could reduce the overall carbon footprint of its trailer. 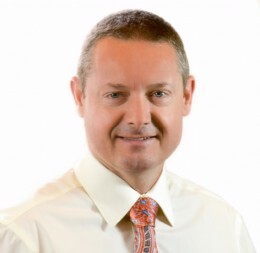 A change of tide Neil Poxon, CEO at Oxford Flow, added: �This assembly used Oxford Flow�s IP series PRVs, which are ideally suited to water distribution companies in potable water network field trials across Europe. Ultimately, working with Oxford Flow has allowed Veolia to develop a more competitive water management offering. The real breakthrough was discovering that just one PRV could handle the pressure regulating flow rates that previously required two PRVs. This opened opportunities for new ways of working and could enable many more companies to access pressure regulation services for perhaps the first time.